← Can YOU Contain Your Christmas Spirit? We’ve got a lot of love for storage containers, but we know that not everyone feels the same way. A few people view working in a storage container as something to complain about, never mind thinking about living in one full time. This blog is here to extol the virtues of the humble container house and the people who live in them. Perhaps you’ll think differently next time you find yourself working from a storage container. Living Big in a Tiny House is the name of a popular youtube channel that looks at the happiness found by those living in small homes. Their videos often feature these houses as a symbol of human achievement – the fact that human ingenuity and engineering have progressed far enough for us all to be able to enjoy modern life in such small spaces. Another aspiration of this youtube channel is to share the belief that nothing is impossible when it comes to tiny living. Accessible properties for those who struggle with mobility are possible and are an especially positive case for tiny living. The video below offers a tour through the tiny house of an older woman. One of the sentiments expressed by the owner of the property is that the tiny house gives her the independence and mobility that she felt herself being slowly stripped of in a three-floor house. This house is a meagre 23.5ft x 8ft, which is a similar-sized space as two of our storage containers connected together. Living Big in a Tiny House has recorded smaller living premises than this, such as a transformed school bus in America. If anything, tiny house projects showcase some of the best interior design ideas. Getting a cohesive feeling across an open plan space can be difficult – especially when space comes at a premium – but these people have shown how it can really work. The renovated bus in the video below includes not one, but two bedrooms as well as the shower room, living room and kitchen. If you’ve ever wondered about how much you can fit into your storage container, remember that many of the limits you perceive can be overcome by your imagination. 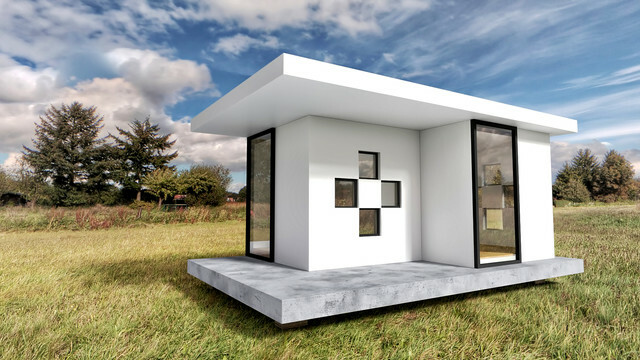 In recent news, shipping containers have hit the edge of design trendiness alongside tiny homes. With minimalism is back in fashion, getting rid of useless stuff and inching closer to eco-friendly lifestyles is considered a worthwhile aim. You can even find renovated storage container homes being sold on eBay for figures under £10,000. Running a business from a renovated storage container is also becoming more popular, as the opportunity to purchase container cafés and offices is becoming more and more accessible. If you’re ever struggling to fit your equipment inside one of our storage containers, you may need to consider buying or hiring a new one, but alternatively, you could put your mind to the problem and think around the space that you’re not using. If the majority of your stuff is piled near the floor, but there’s more unused space near the ceiling, then the answer isn’t a new container, it’s some higher storage racks. Some worries may come from accessing electricity, water and mobile signals from a container home or business. The severity of this question, however, will largely depend on where you want your renovated container to sit. Tiny living shows you that there’s an answer for everything with creativity. If you’re looking for an eco-friendly storage solution, our steel storage containers can be hired or bought, new or used. At Flintham, we’re dedicated to providing long-lasting solutions, and we firmly believe in re-purposing working products. 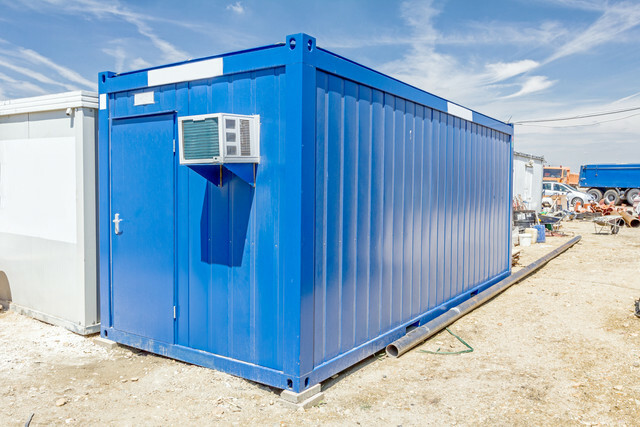 Even if you’re not looking for a storage container to turn into a fabulous tiny home, we can still provide you with Anti-vandal Units, Security Guard Huts, Mobile Welfare Units, and Steel Containers from London to suit an array of purposes. By thinking outside the box, you can find all the solutions to make your life inside a box a happy one.